It’s only 12:20 as I write this and it feels like 7 PM. Cash started whining and crying since a little before 9 AM. He was telling me his ear was hurting. I tried looking into it with my phone flashlight to see if there was anything in there and I didn’t see anything. I asked if he put anything in his ear and he kept telling me no. 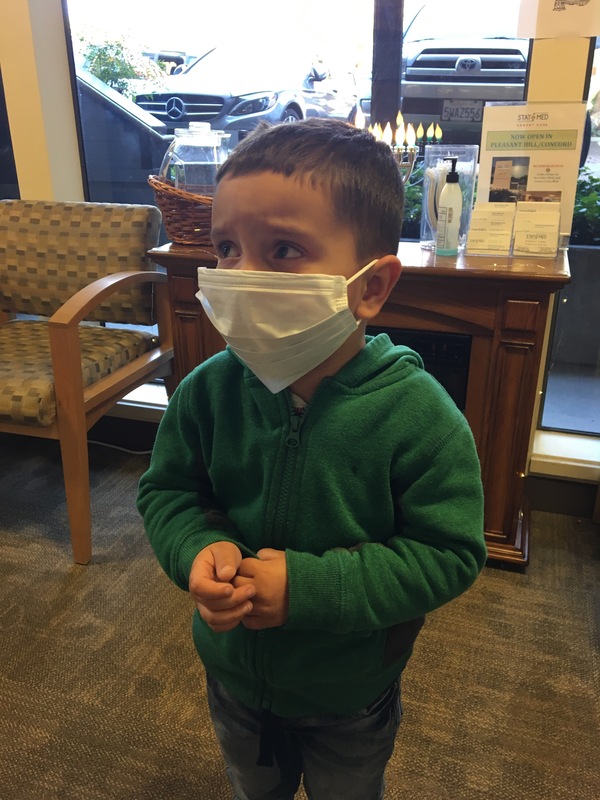 I ended up deciding to take him to Urgent Care. I pulled the car up in front of the apartment so I could carry each boy down into the car. I carried Tate down and then went back up for Cash. I strapped Cash in and tossed my keys and phone onto the front seat, like I always do. However, it hit the lock button and I was locked out of my car. Cash was screaming in pain and Tate was crying because I woke him up from his nap. I had to go get our apartment manager to come unlock my apartment so I could get our spare key. I got the car unlocked and took off. 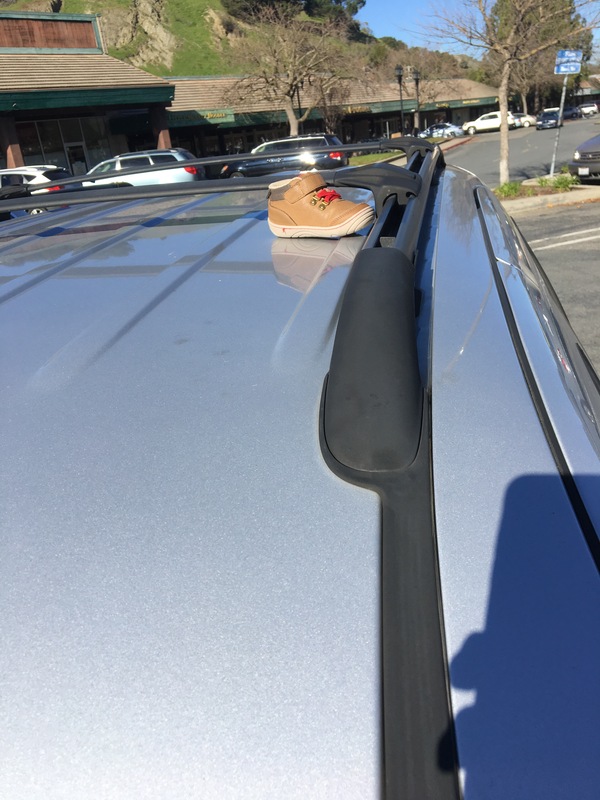 However, I left Tate’s shoes on top of the car. I didn’t realize it until I was already at Urgent Care. Cash cried the entire time we were at urgent care and I felt terrible. There was nothing I could do for him. 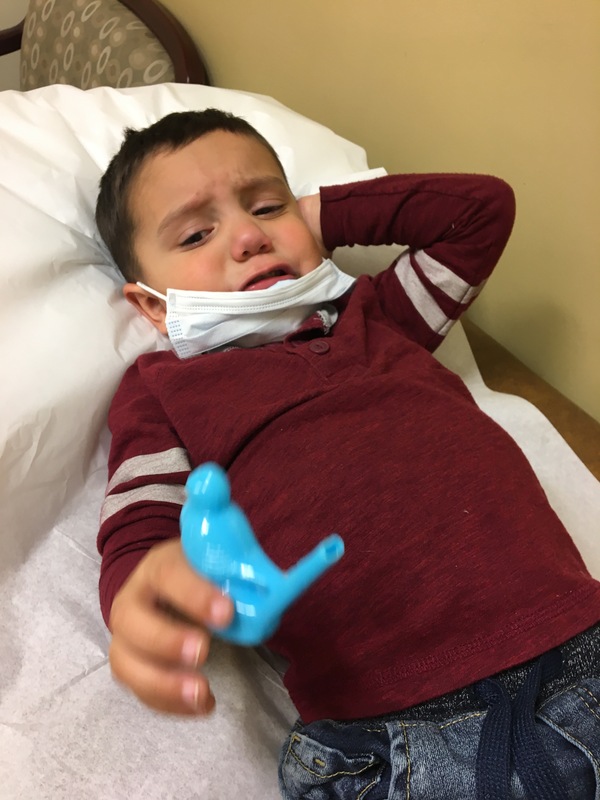 We finally got to the root of the problem, a severe ear infection, and got him some Tylenol, a prescription, and a follow up doctors appointment. We drove to CVS, got our medication, and were ready to go home. However, when we got to the car I noticed one of Tate’s shoes was still on top of the car! I don’t know if it was a slap in the face or a good sign. We drove back down the road to see if we could find it and hallelujah we found his other shoe. It was in the gutter and all wet, but we found it! 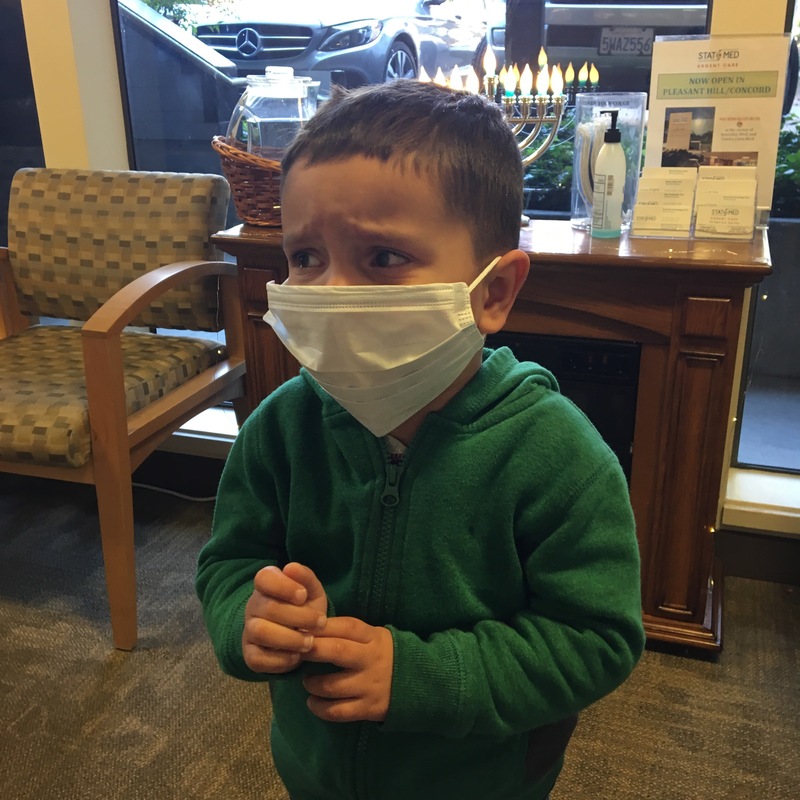 It’s so hard when your kids are sick and there isn’t anything you can do. It just breaks my heart. Both the kids are down for a nap and I am exhausted! I am really looking forward to the holiday weekend and Tyson being home to help with our two little sick boys.